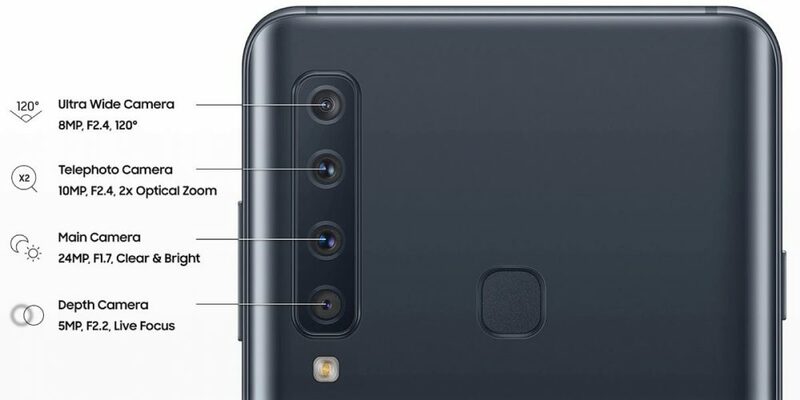 A recent leak has explained the four rear cameras on Samsung Galaxy A9 Star Pro in detail. 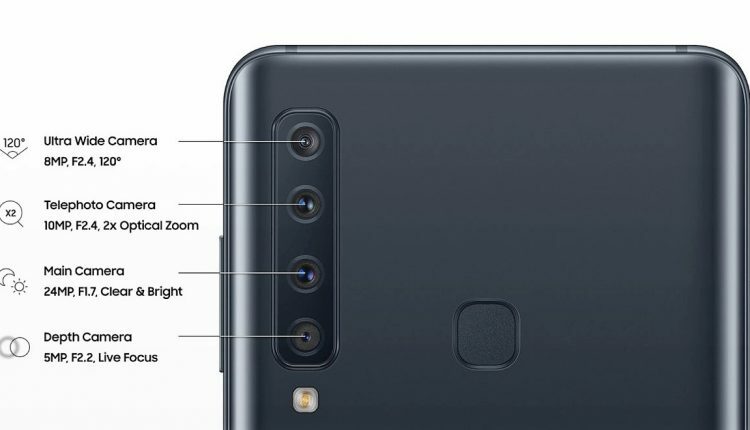 The primary camera used here is a 24MP unit with f/1.7 aperture, paired with 5MP depth sensor with f/2.2 aperture and live focus, 8MP wide-angle lens with f/2.4 aperture and a 10MP telephoto camera with 2X optical zoom and f/2.4 aperture. The four cameras are aligned vertically, further joined by the LED flash for five-strong elements in one row. The phone features a center placed fingerprint sensor and Samsung branding on the back. The phone uses a 6.28-inch Super AMOLED display for maximum practicality. The display is available with full HD+ resolution and lacks the notch for a conventional full-screen feel. 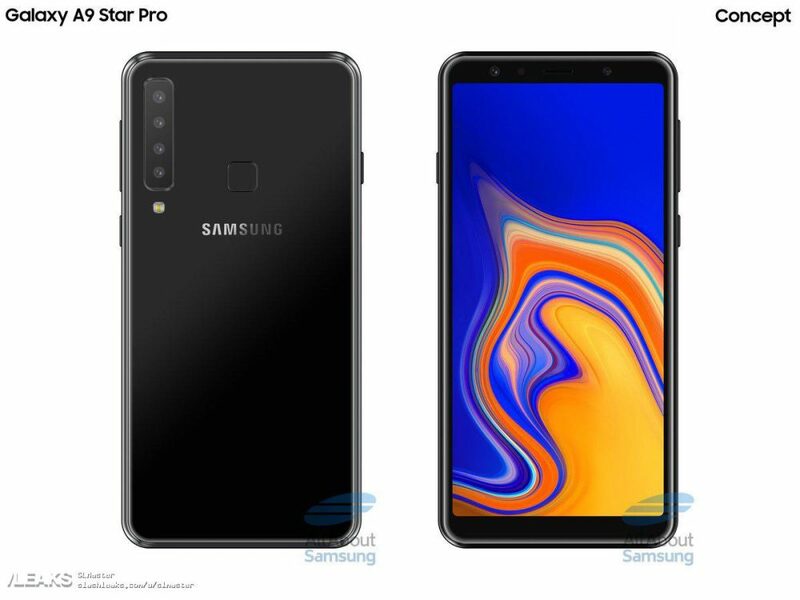 Samsung Galaxy A9 Star Pro is powered by a Snapdragon 660 processor, uses 6GB of RAM and carries 128GB internal storage. The mid-range smartphone uses 3720 mAh battery that supports fast charging through USB Type-C port. The phone was teased through a 4x fun event and thus, all details for the same will be out soon. 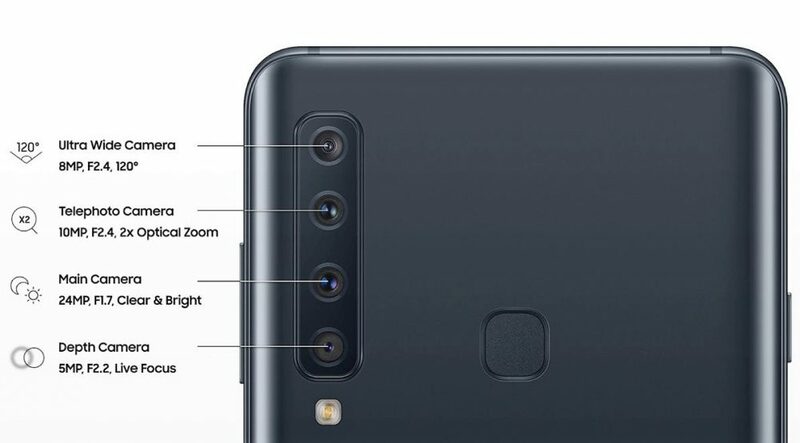 The leaked image shows the device in all black shade while expecting blue and other shades won’t also be wrong for the four camera A9 Star Pro.